I am in search for a new lovable pup to bring home. I found a website that seemed reasonably priced and dogs were adorable. I contacted them via email and everything seemed legit so I was keeping contact. When I asked for their website link, because it was not in my browser, or in the email, couldn't find them on Google, they said the site was down because they only had 2 puppies left.. raised a flag to me.. all legit sites would say no available puppies,new babies coming soon. Not totally take the site down. They claimed to be out of Danvers, Massachusetts. I looked up breeders in Massachusetts and there were none listed. They asked me to send a deposit of $300 transfer money gram or Western Union. Then the rest of the payment next week... they had no puppies but yet wanted me to pay all up front? No, not right. I have gone to breeders for my German shepherds and never once did they ask me to send money or pay anything before I went to see the environment or they check my background out. The so called breeders emailed me today regarding the deposit to be sent by Western Union. I wrote back telling them there were red flags and listed the reason why I am not interested. Funny thing is, they never responded. I'd think any real breeder would go out of the way to prove they are legit..I'm glad I didn't fall for it... thank God for Internet research!!! Oh, and they insisted on delivering the puppy and would not let me go visit first... the site I think was called best teacup maltese puppies. We looked for a Corgi puppy on OODE Markets. Contacted the person with pup and received pictures. Then he requested $400. This was sent but then they needed a new cage for $650 but this money was to be returned when puppy reached my door. I sent $650--all these sent by MoneyGram. Then the puppy had to have new vaccinations for $950. I refused to send money, but I offered $150 to get this finished fast. I sent $150. Next they wanted $200 for Health Form to use to transfer puppy to other states. I did not pay even when they became upset and demanded the money. Have not heard anymore. Hello me and my grandma were looking for an English bulldog puppy for my mom. She has wanted one since she was little and she is dieing from cancer I wanted her to have one before she passed and I was looking around and found a seller named Apapa English bulldog puppies and I contacted him about one of his puppies he had and he wouldnt talk to me on the phone so I had to text him. I wasn't thinking at the time I just wanted to get my mom a puppy. He said the puppy would only be $600 so we paid him that and the same day he sent us another message saying I would have to pay $900 because something happened with the payment but then I knew something was up so I messaged him saying we didnt want the puppy anymore that it was to much to handle and to refund us. But he never did it was to late to get our $600 back. He got us really bad. We went to the police for 3 days but they couldn't do anything I want this guy found and punished for what he did to my family. But I did get my mom a puppy that made me happy but I want justice for what that man did to us. I almost got scammed a couple of days ago, and it was basically the same story as anyone else (200 dollars for the dog and 130 dollars for the shipping, etc), but I had a gut feeling that things were too good to be true, and did some researches and found out it was a scam before I started paying anything. Thank to others who shared their story in details, I managed to get out before it was too late, so it's my turn to help. 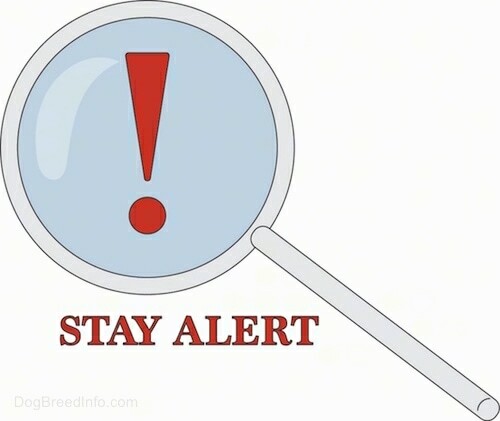 What I would like to share is all the little details that rang mini alarm bells in my head but that I initially brushed away, always finding an excuse for them, and that finally where bothering me so much that I started looking for pet scams online and understood what was going on. I was looking for a puppy, and since I live in India which is a huge country and that there was no kennels in my area, I started looking online. There was an add with a small picture with several dogs and it was written that "we have all kinds of breeds, contact me ONLY at the one email addresss. After sending an email asking about whether she had chihuahua puppies or, "she" said yes, and that she had already sent dogs to India via a pet transport. Here is what bugged me and what I advice anyone to look into: Concerning the "Pet transport company": -When you are given the website of the pet transport company, if it doesn't come up on google but you have to copy the address bar to be able to access, it's not normal. -The (lousy and unprofessional looking) Pet transport website was displaying ONLY testimonies on how other people's pet arrived well on the first page, whereas no other appropriate articles where present. And it was promoting Western Union and other wired transfers, but no sign of Paypal or other secure payments. You can compare it to an GENUINE indian pet relocation company to see what I am talking about. 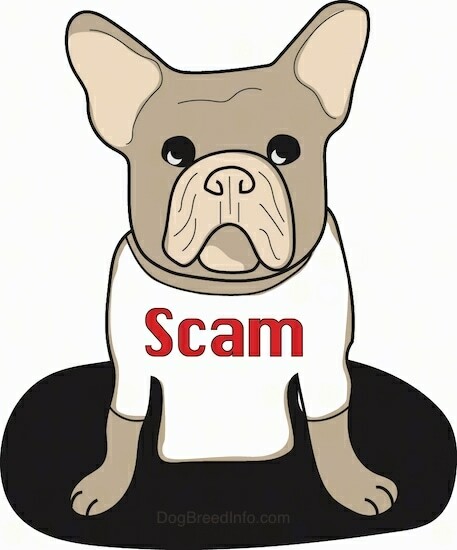 furryflyers.com -She didn't mention any pet transport company proper name, it was always "the company, the pet transport, etc", a proper breeder would obviously give the name right away -Look up the website of the pet transport on scam/malware websites list. EVEN if the exact name is not there, a very similar name could be in example a domain.com instead of domain.hos.es, and that is enough to run away. -The ridiculously low price of the puppy+shipping -The fact that the "pet shipping company" was taking care of all the vaccinations and paperwork required to enter India (and its quite some work) from Thailand without any additional costs. -The delay between the time when I asked for pictures and videos and when they actually got sent. -The puppies in the pictures where not exactly the same as in the video (pay extra attention to this) -The difference of background environments between pictures were not obvious, but enough to start wondering if they came from the same house -The lack of info provided that can be looked up (number, address,etc.) and the rush to "send the puppy" -Even if the paperwork looks real, it might not be These are all the facts I can remember of. Sorry if the text was long, and I hope it will come in handy. puppy. I am so happy you are willing to give Angel a home. is $270 for her with the home delivery fee inclusive. The closest airport to your location. have Angel at your home.